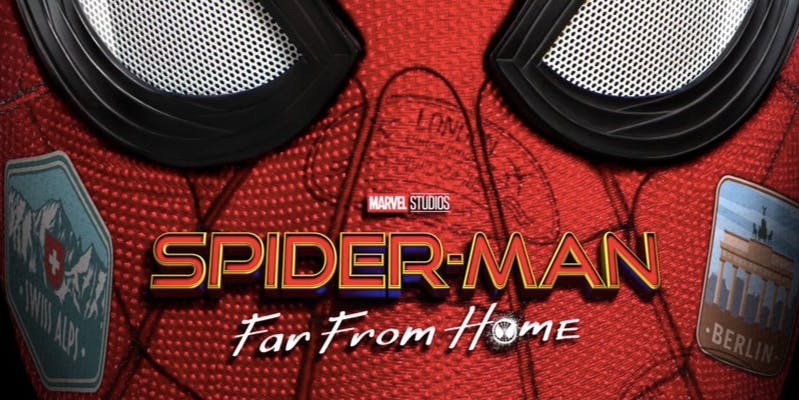 On January 15, 2019, Marvel finally released its first teaser of Spider-Man Far from Home to the masses and from the looks of it, this is going to be another hit. 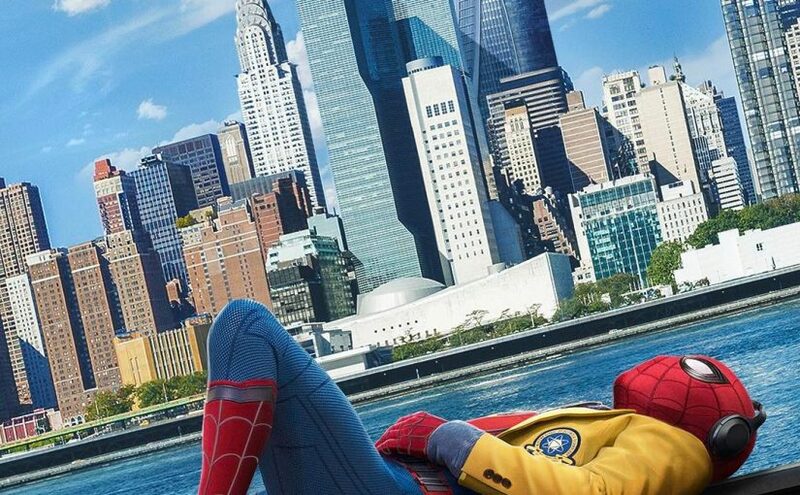 With the success of Spider-Man Homecoming it was only natural the hype for the sequel was going to be through the roof, and it was but when Marvel released Infinity War some fans question the ending of Infinity War, Did the announcement of Spider-Man Far from Home spoil the future of Spider-man? Yeah, it kind of did, but then again who really believe we wouldn’t see a second Spidey film. 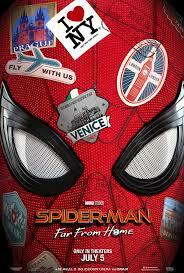 The teaser features our friendly neighborhood Spider-Man taking a summer trip to Europe and from their things get a little crazy when Nick Fury decides to pay him a visit. Marvel’s Cloak & Dagger Official Trailer! Marvel has recently released its information on phase 3 movies to certain media outlets. In spirit of that Marvel also release the official Marvels Cloak & Dagger trailer on Freedom. The trailer gives us a quick run down of the shows tone, we also a get glimpse of on how Dagger (Olivia Holt) and Cloak (Aubrey Joseph) first met, Overall the trailer looks good and set to hit 2018. 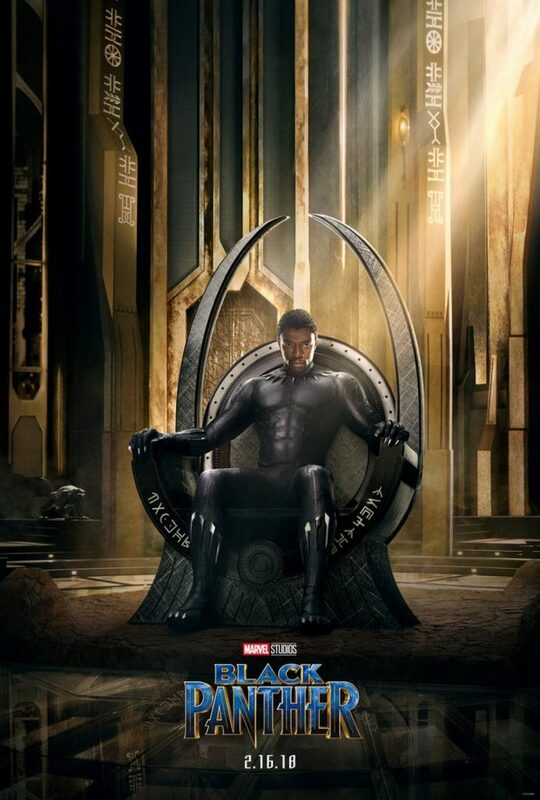 Posted on April 19, 2017 Author Anthony DavisCategories Featured, Previews, TelevisionTags ABC Family, Audrey Joseph, Cloak & Dagger, Disney, Freedom, Marvel Entertainment, Olivia HoltLeave a comment on Marvel’s Cloak & Dagger Official Trailer! Spider-Man Homecoming (2017) Official Trailer is here!!!! After many teasers and screenshots, Marvel & Sony pictures have released the official trailer for Spider-Man homecoming. In trailer we get a glimpse of his new suit, the main antagonist Vulture (Michael Keaton) and his band of villains Shocker ( Bokeem Woodbine) and Donald Glovers who’s character is still unannounced. We also see Iron Man in action as well, he seems to be playing the uncle Ben role to Peter in this film. With DC releasing its justice league trailer recently it was a given Marvel was going to do the same. 2017 is shaping up to be another great year for comic films. Posted on March 28, 2017 Author Anthony DavisCategories Comics, Featured, Movies, NewsTags Iron-man, Marvel Entertainment, Michael Keaton, Robert Downey Jr, Sony pictures, Spider-man, Spider-Man:Homecoming, Tom Holland, VultureLeave a comment on Spider-Man Homecoming (2017) Official Trailer is here!!!! Marvel Announces its first Inhumans Cast Member!! 2017 is starting to look extremely promising for Marvel and with Guardians of the Galaxy Vol 2, Spider-Man Homecoming and Thor: Ragnarok all coming in 2017 Marvel is setting up for another dominate run this year as well. Now that they have the cinematic Universe well establish Marvel looks to focus on its new TV franchises in 2017. In November 2016 Marvel announced the Inhumans Television series, which is going to be produced by ABC Studios, the series is going to focus on Black Bolt and the Royal Family, Marvel originally intended to make a movie franchise but that was scratch, months later we get news of the TV series instead, Ben Sherwood, president of Disney–ABC Television Group has stated that they have been working closely with Marvel’s movie calendar to make sure the show wouldn’t interfere with upcoming and future movie releases. 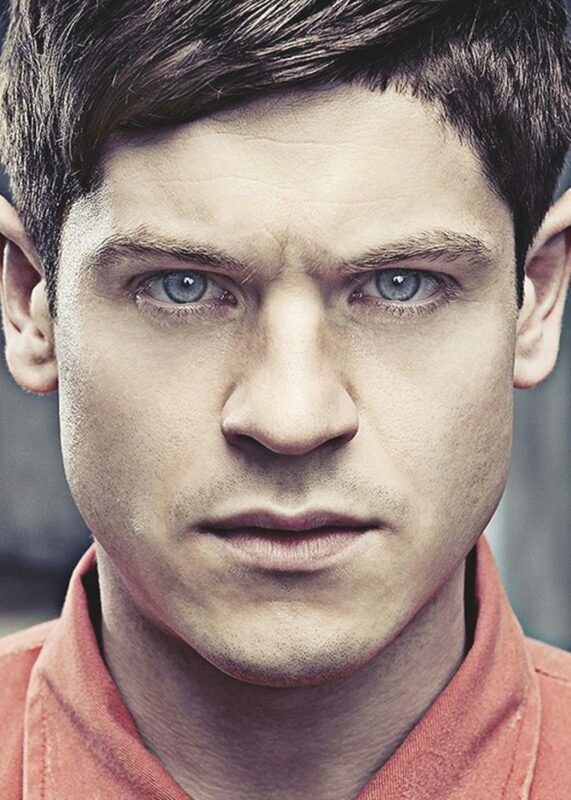 Jump forward to the present and we now have the series’ first cast member, Game of Thrones actor Iwan Rheon known for his recent role as the villain Ramsay Bolton will be playing Maximus, the brother of Black Bolt the inhuman king, Maximus has mind controlling abilities along with a genius-level intellect, he wants to be King of Attilan (The Hidden Land), he’s similar to Loki in that respect, and like Loki he feels he should be Attilan’s true king. 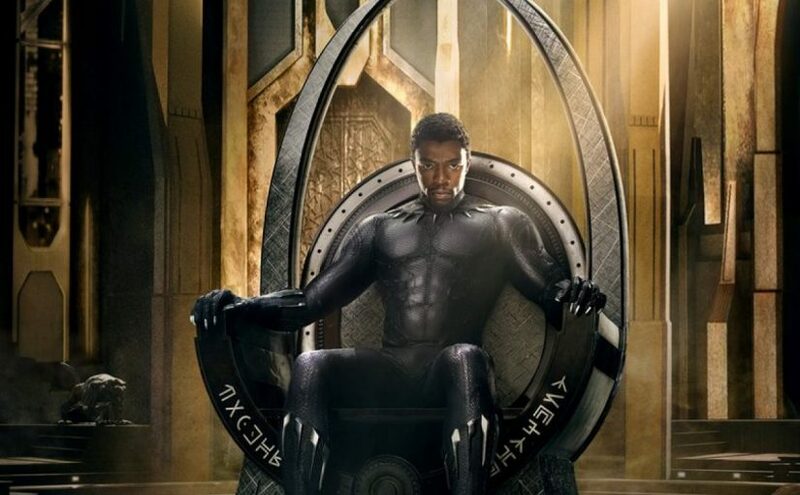 Posted on February 22, 2017 Author Anthony DavisCategories Featured, News, TelevisionTags Inhumans, Iwan Rheon, Marvel Entertainment, MaximusLeave a comment on Marvel Announces its first Inhumans Cast Member!! News – Marvel’s Cloak & Dagger finds a cast and release date! 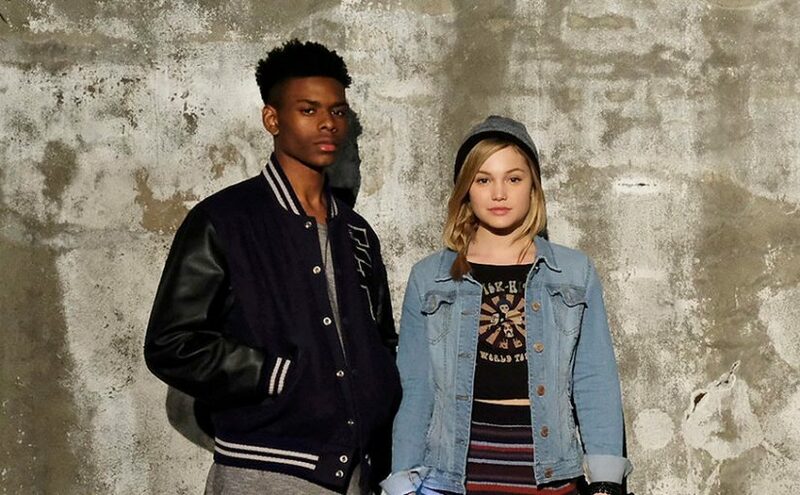 Marvel has finally found a cast for its live action Cloak & Dagger series, back in 2011 Jeph Loeb reported the show was in the works and in 2016 it was finally green-lighted by Freedom a Disney–ABC Television Group division of Walt Disney, the network is geared towards teens and young adults. Joe Pokaski is the creator and show-runner, the show its self will be set in the post Hurricane Katrine New Orleans instead of its comic counterpart New Year city. As for the cast, both cast members Olivia Holt and Audrey Joseph are relatively unknown. It’s been stated that the show will be included with the Marvel cinematic universe along with the other TV shows. 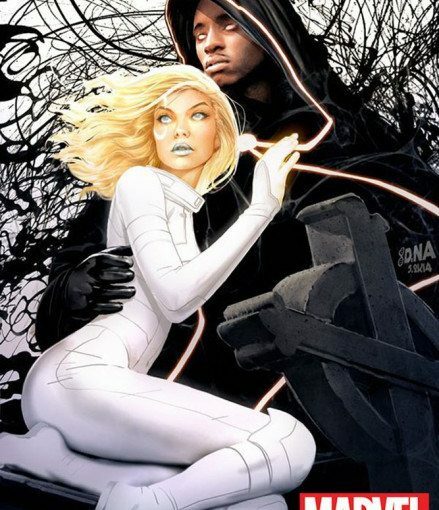 Cloak & Dagger will be a coming-of-age series about Tandy Bowen and Tyrone Johnson who come from different backgrounds, one from a privileged upbringing and other from the inner city, the two run into one another and together suffer a life changing experience which eventually causes the two to need one another. The show is set for a winter 2018 release for the Freedom channel. Posted on February 2, 2017 Author Anthony DavisCategories Featured, News, TelevisionTags ABC Family, Audrey Joseph, Cloak & Dagger, Disney, Freedom, Marvel Entertainment, Olivia HoltLeave a comment on News – Marvel’s Cloak & Dagger finds a cast and release date! The hype behind Marvels Dr.Strange has gain tremendously since its Comic –Con 2016 panel, with a couple of trailer releases fans have been raving about it no stop and rightfully so, Marvel has been knocking it out the park with their movies for the last couple years, and with the looks of it that’ll continue until the studio choose not to make and more. Dr. 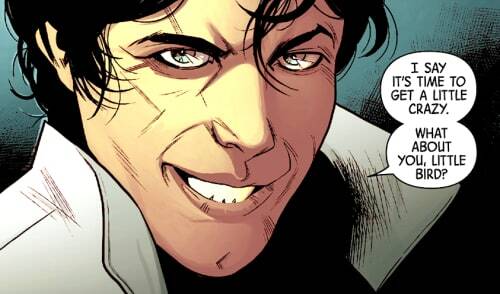 Strange brings something different to the Marvel Cinematic universe, and that’s magic. 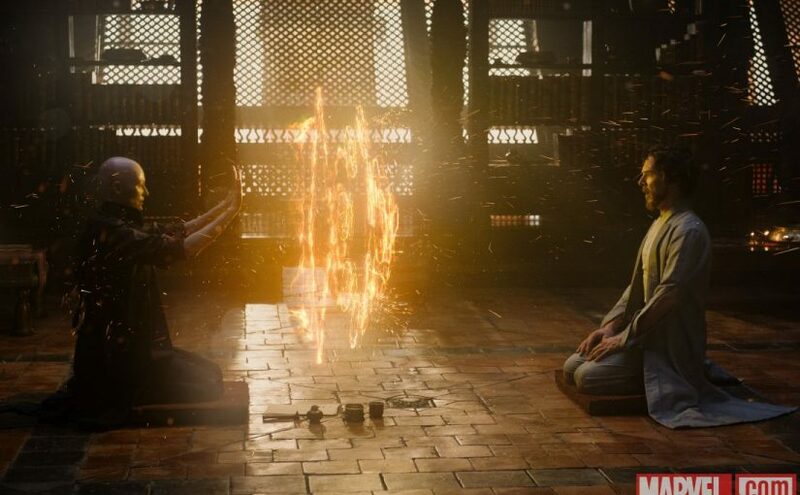 Marvel studios has recently drop a sneak peek of behind the scenes of Dr.Strange it’s only about a 1:03 long it gives fans a quick synopsis of its main villains and others before its November 4 release! Longtime LGBT activists George & Brad Takei, Marvel Entertainment, and Los Angeles County Supervisor Zev Yaroslavsky will be honored at the Los Angeles LGBT Center’s 45th Anniversary Gala Vanguard Awards in Los Angeles on November 8th at the Hyatt Regency Century Plaza, presented by Wells Fargo. The high-profile annual event will celebrate the Los Angeles LGBT Center’s 45th anniversary of making the world a better place for LGBT people. One of the premier LGBT charity events in the nation, the Center’s Anniversary Gala Vanguard Awards will bring together more than 1,200 LGBT people and their allies to enjoy cocktails, dinner and entertainment, while saluting some superheroes in the LGBT movement. The evening also features an extensive auction that includes high-end items, packages and experiences. Music industry innovator Peavey Electronics is pleased to announce the latest addition to its line of Marvel products with brand new Marvel’s Guardians of the Galaxy musical instruments and accessories. Featuring Marvel’s Guardians of the Galaxy characters in a high gloss finish, Peavey’s Rockmaster guitar provides excellent balance, playability and tone with a basswood body, maple neck and rosewood fretboard. A three-quarter size student model of the Rockmaster electric guitar is also available, and both guitars come with a cable and picks. Peavey’s half-size acoustic guitars are made of genuine wood with steel strings, and are ideal for starter musicians. The guitars include a removable headstock cover with matching graphics that protects fingers from string ends, and come with Peavey picks and a strap. 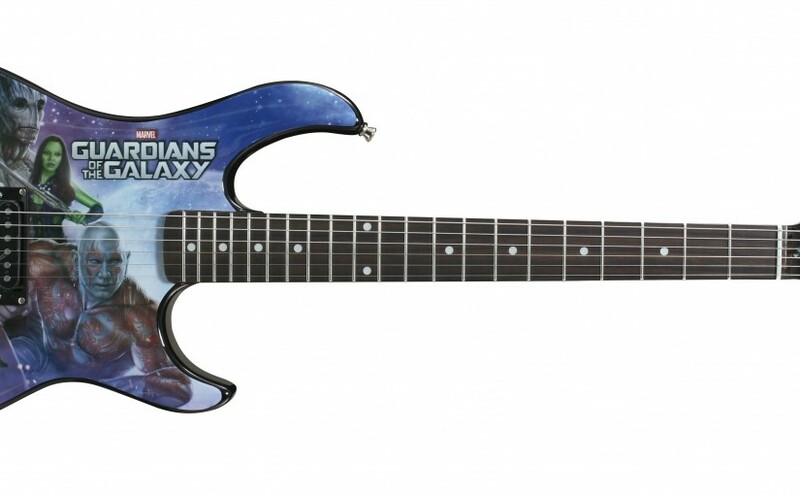 Scenes from Marvel’s Guardians of the Galaxy are featured on the instruments in high gloss finish. Also suitable for players of all ages or collectors, the line of products includes 20” ukuleles decorated with Marvel’sGuardians of the Galaxy characters. Made of genuine wood and featuring a high gloss finish, the instruments have easy-to-play nylon strings and locking tuning pegs which help to keep the instrument in tune. Fans can also choose from a selection of Marvel’s Guardians of the Galaxy-themed straps and picks created by Peavey. Find out more about Peavey’s line of officially licensed products at www.peavey.com. Today comiXology, the revolutionary digital comics platform, and Marvel Entertainment, one of the world’s most prominent character-based entertainment companies, announced that consumers can now sync their purchases between comiXology’s platform and the Marvel-branded digital storefronts on iOS, Android and the Web. 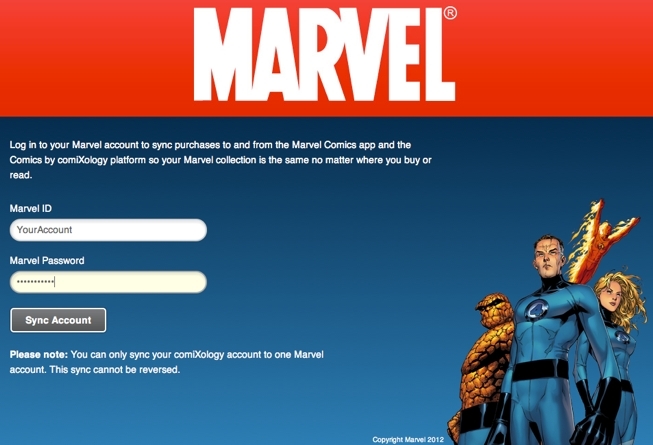 Customers with Marvel purchases on separate Marvel and comiXology accounts can sync previous and future purchases by logging into the their comiXology account and visiting https://www.comixology.com/marvel-sync. Customers will be prompted to enter their Marvel account information to sync the two accounts. The purchased comics will then be available to read on the Marvel Comics app, and will also appear on the comiXology platform across iOS, Android and the Web. This past May, Marvel and comiXology entered into a multi-year agreement to exclusively distribute Marvel’s single issue English-language digital comics worldwide with comiXology. This multi-year agreement reinforces Marvel’s commitment to bringing its unparalleled library of popular characters and acclaimed stories to fans with a dedicated commitment to technology partner comiXology. Marvel fans can find single-issue digital comics, trade paperbacks and original graphic novels via the Marvel apps available for Apple iOS and Android, as well as the new web-based Marvel Comics Shop, all powered by comiXology. Marvel comics can also be found on the comiXology platform available on Apple iOS, Android, Kindle Fire and comixology.com. In addition, Marvel’s digital comics are available through comiXology’s Digital Storefronts for brick-and-mortar retailers and on their new Windows 8 Preview application. The comiXology-powered Marvel Comics app launched in 2010 and has remained one of the top grossing apps in the iTunes store. As the first major comics company to offer single issues for digital purchase and featuring the largest library of digital comics, Marvel continues to be the industry leader in digital innovation. You can download the Marvel Comics app right here and experience the greatest comics books in the world, featuring the Avengers, Iron Man, Captain America, Thor, Hulk, Spider-Man, Wolverine and more!